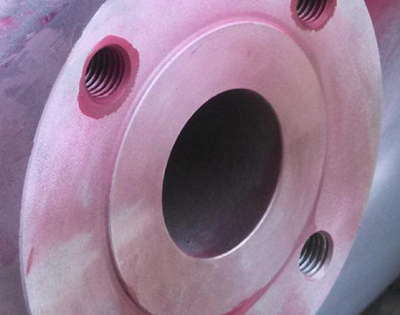 Pressure vessel maintenance & testing – Dye penetrant testing, hydrostatic pressure testing, ultrasonic testing & more. All low pressure testing is carried out in accordance with E.N. 13445 standards. 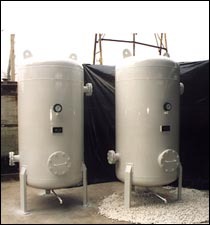 Pressure vessel examination and testing can be conducted on site. The examinations can include internal and external through visual examinations, spot or full ultrasonic examinations, dye penetrant examination, hydrostatic pressure testing. The main objective of this is to secure the safety of people at work from the uncontrolled release of stored pressure energy. Legally users/owners of a system that contains a relevant fluid and at least one pressure vessel exceeding 250 bar litres must by law have a written scheme of examination before the system can be operated and shall have the system examined within the intervals specified. These regulations apply if the compressed air pressure is over 0.5 bar.